"Pearls are the girl's best friend!" Our exclusive pearl bracelets shine with various highlights: Heart-shaped charms, gold or silver, with or without sparkling stones. Our bracelets for dirndl are just as suitable for festive costumes as for any other festive occasion. 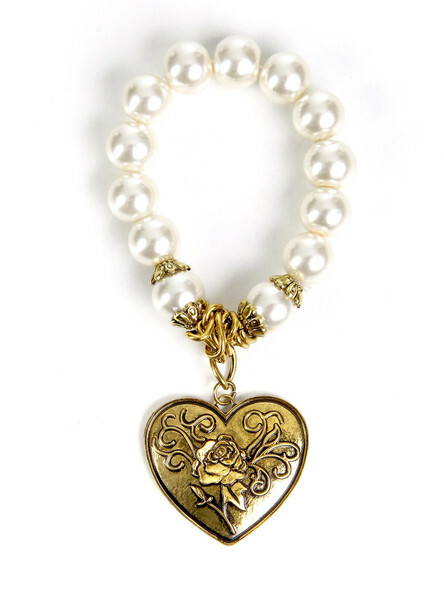 Brighten up your wrists in a delicate way with our dirndl jewelry!